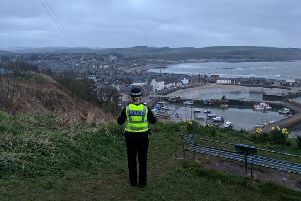 Officers in Stonehaven are appealing for information following a series of vandalism to a new community amenity. During the month of July the all-weather sports pitch situated within Minerallwell Park, Stonehaven has suffered minor damage on three separate occasions. In one incident the perimeter fencing was been damaged and on the other instances small sections of the outer edge of the playing surface have been scorched. Investigating officer PC Steven McKenzie said: “The all-weather sports pitch was only opened in September last year for the benefit of the whole community. This makes it all the more disappointing that someone or some people have tried to damage it. Anyone with information is asked to contact Police Scotland on 101.